The crowd was watching the burning of a Ravana effigy near Joda Phatak on October 19 when they were mowed down by a passing train. Around 60 people died in that accident. CHANDIGARH: A magisterial probe into the Amritsar train tragedy in which around 60 people died, has apparently given a "clean chit" to Navjot Kaur Sidhu, wife of Punjab minister Navjot Singh Sidhu, who was the chief guest at the Dussehra event. Jalandhar Divisional Commissioner B Purushartha-- appointed the special executive magistrate by the government to probe the accident-- indicted the son of a Congress councillor, who organised the event as well as officials of Amritsar district administration, municipal corporation, railways and local police, official sources said. The report stressed that Saurabh Mithu Madan, son of the Congress councillor and a close aide of the Sidhus, should have ensured safety of people at the venue, official sources said. The report also blamed Amritsar administration and municipality officials over safety measures and permission given for holding the event. The role of railways also came under the scanner for giving the green signal to a fast train despite the presence of a huge crowd on the tracks. The Home department has put up the file pertaining to the report before Chief Minister Amarinder Singh for further action. Notably, an inquiry conducted by the Chief Commissioner of Railway Safety into this incident had blamed "negligence" of people, standing on the railway track, for the tragic incident. Meanwhile, Additional Director General of Police (Railways) Iqbal Preet Singh Sahota is conducting a separate inquiry into the accident to fix responsibility. The statements of over 150 people including railway officials and Navjot Kaur Sidhu were recorded by Purushartha, while Navjot Singh Sidhu, who had questioned the Railways for giving clean chit to loco-pilot of the train, had submitted his statement in writing. 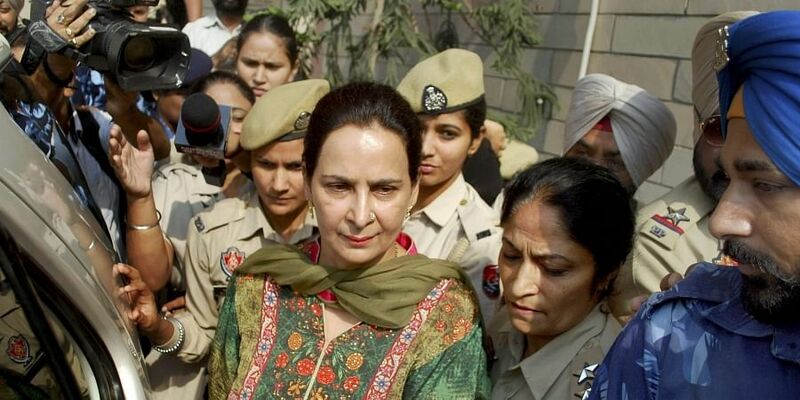 Opposition Akali Dal had earlier rejected the institution of the magisterial probe and sought registration of case against Navjot Kaur Sidhu and the event organiser, claiming that she allegedly left the venue without bothering about the victims.